The driver attempted to run over Det. Davis with his vehicle and fled the scene. 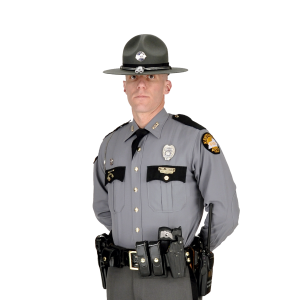 Russell County, KY (February 4, 2019) – On February 2nd, 2019 at approximately 4:22 PM CST off duty KSP Detective Nick Davis was in Jamestown, KY when he observed a 1998 Honda come to an abrupt stop in the roadway, almost causing an collision. Detective Davis could hear a male screaming and a child crying inside the vehicle. Detective Davis made contact with the driver, 30 year old Justin Belt of Jamestown and noticed he smelled strongly of alcohol. Det. Davis identified himself, and asked Belt to step out of the vehicle. Belt attempted to run over Det. Davis with his vehicle and fled the scene. Troopers Zach Scott and Jon Carlock arrived a short time later and located the vehicle at a residence on Mann Rd. Troopers located Belt sitting outside the residence and arrested him without incident. Belt was arrested and charged with reckless driving, DUI 1st aggravating circumstance, wanton endangerment 1st degree-police officer, endangering the welfare of a minor, fleeing or evading police (motor vehicle), menacing, and resisting arrest. Belt was Lodged in the Russell County Detention Center.